Congolese Hold Their Breath, Wondering If This Presidential Election Will Be Credible Election day delays kept polling stations open for hours after they were supposed to close in the capital Kinshasa, with one of the big issues attributed to new voting machines. Heavy rain, long lines and broken voting machines in the capital plagued voters in the Democratic Republic of Congo who were casting their ballots in the long-awaited presidential election on Sunday. The lead up to the election for a new president has been hit by a series of delays and controversies. 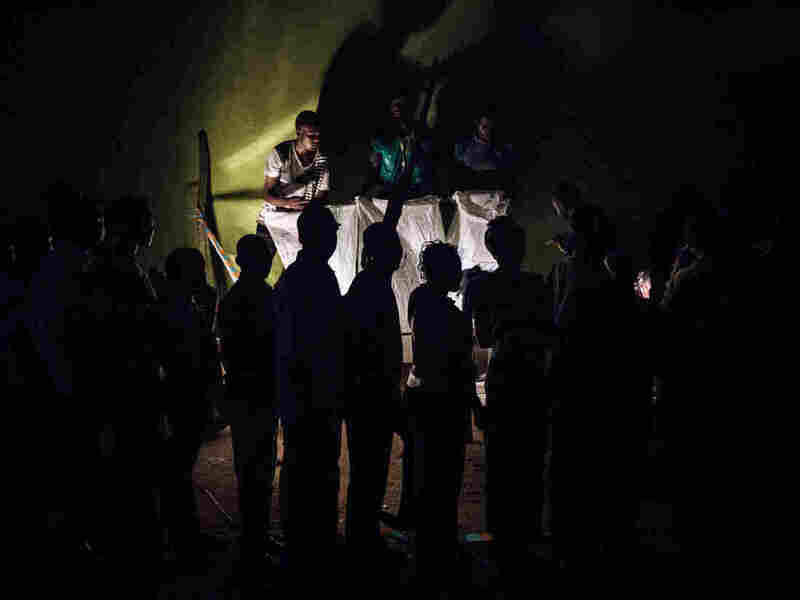 The vote, which was supposed to take place in 2016, was postponed again from last Sunday in part due to a warehouse fire that destroyed the majority of voting machines for polling stations in the capital Kinshasa. Election day was no exception, with delays that kept polling stations open for hours after they were supposed to close. NPR's Ofeibea Quist-Arcton reported one of the biggest issues were the controversial new voting machines. "The machines, being used for the first time, have been criticized by opposition candidates who argue they're vulnerable to vote fraud," Quist-Arcton said. Election monitors confirmed that voting machines in many places failed to work or jammed while being used. 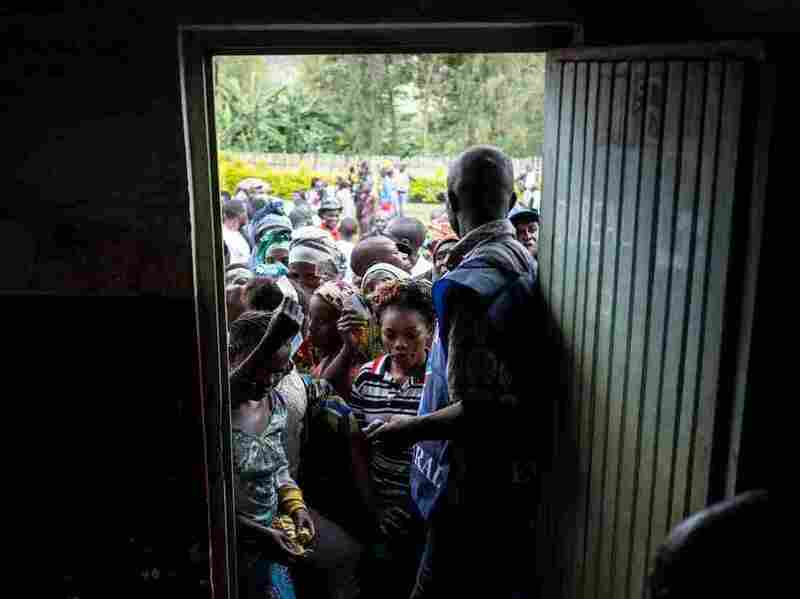 Congolese opposition candidates alleged widespread irregularities and questioned why voters' registrations had not arrived at some polling stations in opposition strongholds in Kinshasa, Quist-Arcton reported. While the day was mostly peaceful, violence broke out at a polling station in South Kivu province in eastern Congo. Reuters reported a police officer shot and killed a young man after a dispute over alleged voting fraud. The crowd then beat the officer to death, a witness and a local politician said. President Joseph Kabila has long resisted giving up power, but Sunday's election was meant to usher in the country's first democratic transfer of power since they gained independence in 1960. Kabila has ruled Congo for nearly 18 years, coming into power after the assassination of his father in 2001. Kabila's two-term constitutional limit was up in 2016 but he's spent the past two years delaying the election to decide his successor and violently cracking down on protesters who opposed the delays. Residents line up in order to cast their ballot in an improvised polling station at Kalinda Stadium in Beni, where voting was postponed for Democratic Republic of Congo's general elections. Electoral authorities have postponed the vote until March 2019 in three cities because of an Ebola outbreak. Adding to the tension, last week the election commission made the decision to bar more than 1 million people from voting because of an Ebola outbreak in the eastern part of the country, claiming it would be a disaster if one person infected hundreds of people. They also cited a threat of terrorism, according to CNN. The commission said voting in three cities Beni, Butembo and Yumbi, known as opposition strongholds, will not happen until March 2019. A new president is expected to be announced in early January and then inaugurated later that month. Critics say delaying the vote in the three cities until after the winner is announced undermines the credibility of the election. Citizens in the city of Beni protested the decision and on Sunday held their own makeshift vote, CNN reported. "Congolese are holding their breath," Quist-Arcton told NPR's Don Gonyea on Weekend All Things Considered. "Wondering if this will be a credible election." "Everybody is saying 'we need a peaceful election, we need a peaceful post election period, and we need a peaceful transfer of power,' " Quist-Arcton said. "That has never happened in Congo before. They pray ... that this will happen, we'll have to see."